As a passionate and certified wine lover (Wine & Spirits Education Trust, WSET III), Jennifer Nelson appreciates the wine lifestyle. This includes wine tasting and touring, but there’s also a personal responsibility to share the cultural, geographic, and historic exploration wine. 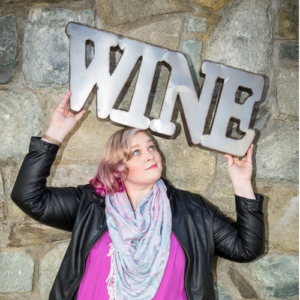 Since November of 2015, Jennifer has built the lifestyle brand of Wine Antics to both educate and entertain or “edutain” people on social media (@WineAntics), on her website, WineAntics.com, and as the executive producer and co-host of Wine Antics LIVE on Thursdays at 9pm EDT. Wine Antics LIVE highlights people in the wine industry, wine pairings, wine education, and wine news from the wine lover’s perspective. The live talk show style of Wine Antics LIVE is co-hosted with Jason “Stub” Stubblefield from Cork Envy. Despite over four years of volunteering at wine festivals, harvest & bottling events, and wine competitions, Jennifer believes the education and exploration of wine is on-going! After all, she did not start out with a passion for wine. She spent eight years in the U.S. Army and another ten years as a Federal Employee in Washington D.C. before “getting bit by the wine bug” while taking the Certified Specialist of Wine (CSW) course in Arlington, VA. Thanks to education assistance from the Veteran Affairs (VA) Post 9/11 GI Bill, Jennifer was able to complete her Masters in Marketing and Management from the University of Maryland University College (UMUC) in May of 2016. In her graduate studies, Jennifer researched focused on influence and digital marketing especially in the wine industry. She plans to build on this research to help more beverage brands smartly and efficiently embrace digital marketing and media strategies.